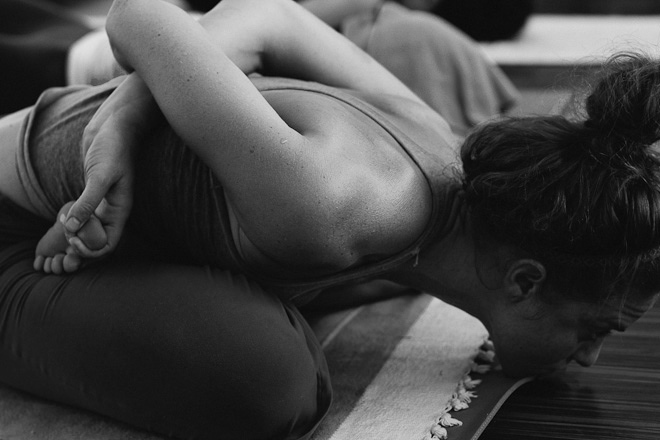 Of the many poses in Ashtanga, there are poses that we fall dearly for. Not because it is easy… I really doubt anyone would say Ashtanga is easy… but because these poses bring out something almost sacred within us. My Mysore practice never leaves these poses behind. Always waiting for me towards the end, always waiting for me to be more softer yet resolute. The culmination of my practice is this stage. I ask myself two questions on each practice. As I set my intention in the beginning, palms at heart centre, between the Om and the Opening Chant – How flow can I go? 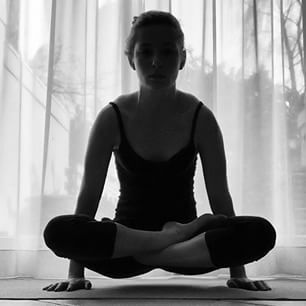 And towards the end as I sit in Padmasana | Lotus Pose – Am I able to let go? Both questions help me in my practice; but the second one holds more weight than how “flowy” I can be. When I slowly bound my legs to press my heels against the crease of my hips and lower belly… rolling my left shoulder to catch my left toes, pressing at the top and my toes flair serving as a hook… here comes my right arm… and here comes my instructor to help me lengthen so I may reach my right toes… Baddha Padmasana. Slowly I fold down to bring my chin on the floor… Yoga Mudra. Breathing in, breathing out… ten counts… Am I able to let go? 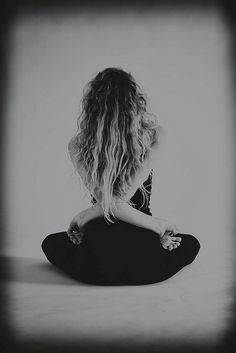 Inhale to lengthen the spine up, exhale to let go of my toes, extend my arms out, thumbs and forefingers meet, the rest of my fingers long, sides of the palms pressing on my knees… sealing my practice as I bow down towards my heart, gazing at the tip of my nose, chin to collarbones… Chin Mudra. Ten rhythmic breaths… breathe in from the belly, to the sides of my ribs up towards my chest and collarbones… squeezing my belly in as I breathe out all the way down towards my pelvis… “Do you feel it?”, my instructor asks as he points to the parts of my body watching me breathe… I smile and giggle, “Yes, I do!”… and he leaves me to my breathing… Am I able to let go? Lifting my head up, planting the palms down… committing to my core strength, knees elevated slightly… press, press, press and up my tush goes… Utpluthih. Breathe… for 10, 15, 20, rustling sound of the exhales… Am I able to let go? And without much ado, I reply – Yes! See me spring up, see me rise with both ease and strength. See me bloom in my Padmasana, my very own Lotus, able to rise above the murkiness of the kinks within my body. All the aches and tightness are just but mud in the water. The same mud posing as inhibitions in my practice is the same mud grounding me. The same water I float above, my mat, is the same mat representing the world around me. That with all these fears and imbalance and injuries and whatever else is out there, I can friggin bloom… only when I let go.